What does PGI status mean? 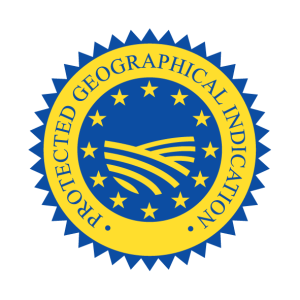 Since 1993, the European Union (EU) has provided a framework that gives legal protection for named regional food products against imitation across the EU. Why does the Cornish pasty have PGI status? The PGI was granted to protect the quality and reputation of the Cornish pasty and to stop people being misled by pasty makers who trade off the value of the name without producing a genuine product. The status is given after a rigorous process to ensure that products have a genuine reason for protection. The pasty industry is very important to the Cornish economy. The largest manufacturing sector, pasty-makers generate approximately £300 million of trade per annum and employ over 2,000 people. Many of these jobs are year-round, full time, permanent positions. Pasties are sold in virtually every village and high street in the county and therefore support and uphold the local shops that are often the hub of communities and a lifeline for those without transport. Many bakers shops say their existence depends on the pasty. Pasty producers also sustain other local service industries such as engineering and transport. The PGI protects consumers in enabling them to distinguish a genuine Cornish pasty, whilst helping to ensure the sustainability of a vital Cornish industry.